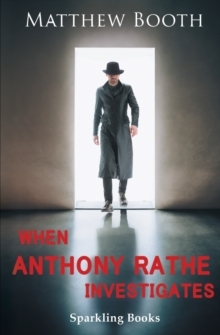 The original Anthony Rathe stories of courtroom criminal cases appeared on American public radio, syndicated by the late Jim French through his Imagination Theater. When Anthony Rathe Investigates continues where the radio stories finished. Prosecuting criminal cases, barrister Anthony Rathe convinced a jury to imprison an innocent man, who subsequently took his own life. Horrified at his mistake, Rathe abandons his glittering legal career, vowing to truly serve justice. A series of cases come his way. 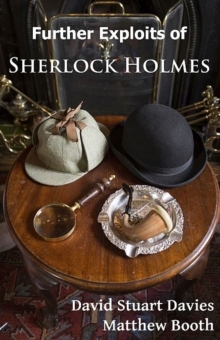 These four stories, linked by how Rathe is racked with guilt over the suicide, explore crime from a different angle: determination to find the truth, no matter how inconvenient to the investigating officer, Inspector Cook. 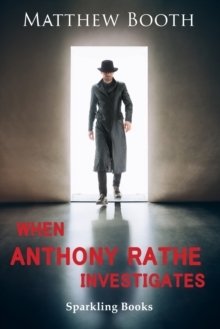 The reader is invited to join Rathe in solving these complex mysteries. The first story, Burial for the Dead, exposes sordid family history that led to a murder in a church. In A Question of Proof, Inspector Cook needs Rathe to unravel an underworld murder; in Ties that Bind Rathe solves a crime of passion; and in The Quick and the Dead, modern slavery intrudes into his own personal life.